Go, Dog. Go! A Big Blog Party: Steph’s Scribe’s 1st Anniversary Party! 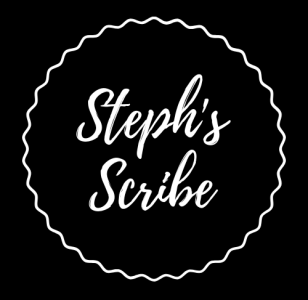 Tomorrow, Thursday April 12th, is the “official” date of Steph’s Scribe’s one-year anniversary. For those of you who’ve been with me from the beginning, there have been some growing pains, that’s for sure. I played with the design, changed my masthead, mixed up what I wrote about, but now, I have a clear vision of what this blog is…and it’s not too far from what it was originally meant to be. It’s still a place for me to let loose and talk about things I like to discuss. That won’t change. I’ve made a commitment to blogging, and I don’t think I’ll ever let it go now. It’s part of who I am. I look forward to writing posts. I really do. It keeps me sharp and encourages my creativity. It challenges me. It forces me to write even when I’m tired and I’ve graded twenty papers, driven the kids all over God’s creation to baseball and softball, piano lessons and tutoring, made dinner and worked late, and when I don’t feel like writing at all. It’s given me room to have a voice, and a place to voice my thoughts. I appreciate being a blogger, and even more so, I appreciate having an audience. I wouldn’t do it if it weren’t for my loyal readers. I’m so appreciative that you’re still with me. Thank you for the 21,558 hits as of midnight last night. 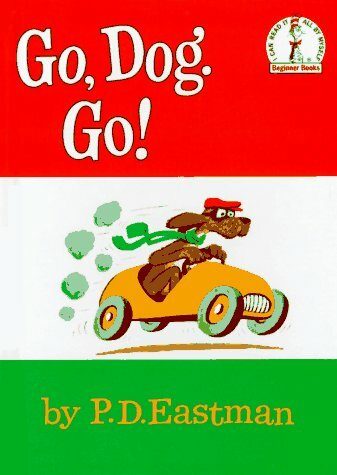 Do you remember the Dr. Seuss book “Go, Dog. Go!”? 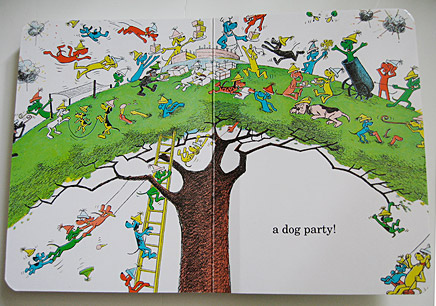 Do you remember how the male dog and the female dog wore those party hats and were heading, along with all the other dogs in their colorful cars, to the big dog party in the tree? I always wanted to be one of those dogs who was heading to the party in the tree. So today, instead of having a big dog party, let’s have a big blog party. Let’s give three cheers for the internet, for freedom of speech, for folks who are interested in reading, and for bloggers who feel the necessity to write what comes from deep within their souls. I’m planning on going out tonight–as I do most Wednesday nights–to celebrate. Feel free to climb in your colorful cars and join me for the big blog party in the tree. I’ll be sure to wear a hat. Next Post Thank You, Readers! Congratulations on one year! I love reading your blog. It helps your readers as much as it helps you. Keep blogging! Congratulations Skeeter! I get so excited when I see that you have posted something. i can’t wait to open and read what you have to say. I get a short little break from my hectic workday to enjoy something funny or something sad or something that makes you sit and think for a second. Thanks for making my day! Thanks for the congrats wishes. I’m glad I can make your day a little brighter with all my nonsense! I like your hat! I do! Thanks so much! I love all my hats…perhaps a blog about hats in the future!